It’s important to have defined terms in legal agreements and documents and to make sure those defined terms are treated as you’ve defined them throughout the document. If you’ve defined it with an initial capital, then it should have an initial capital every time it is used as defined. We had a case where an important piece of the evidence was whether the lower case word had a different meaning than the same word with an initial cap. It really does make a difference. There are many cases that have hinged on punctuation, capitalization, word definitions, etc. A future blog post will delve into some of the most interesting of these. In the meantime, there was a recent case in Maine that turned on the lack of a serial (or Oxford) comma. The case reportedly settled for $5 million. See the blog post about that here. Pieces of demonstrative evidence that include errors that could be caught with good proofreading become less impactful. In a jury case, it could taint the way the jury sees your client–whether that is justified or not–and it could convince the jury to ignore that evidence. Overall, errors in public documents, emails, correspondence, and anything that your office sends out make a bad impression of your firm. 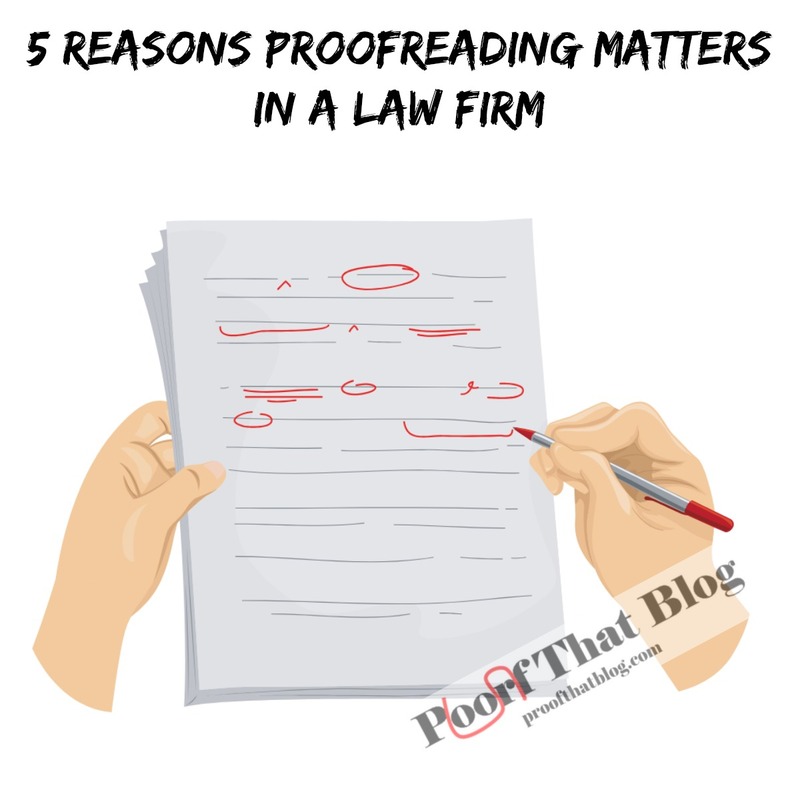 Your firm website is just as important and I have seen many errors on many law firms’ websites. If you’re using that for marketing and hoping someone will use your firm, do you think the chances are any good if all they see are errors? That is what I would be expecting from any other work coming from that office. Remember that some of this information is the first contact someone has with your firm. If it is full of errors, that is not the impression you want to make. Another judge, U.S. District Court Judge Gregory A. Presnell of the Middle District of Florida, actually went so far as to redline a motion that he found “riddled with unprofessional grammatical and typographical errors that nearly render the entire Motion incomprehensible.” He returned the edited motion to the attorney with an order to “re-read the Local Rules and the Federal Rules of Civil Procedure in their entirety . . . [and] personally hand deliver a copy of this Order, together with the Court’s [edited motion] to his client.” Those details are at http://apps.americanbar.org/litigation/litigationnews/top_stories/presnell-redlined-motion.html. So not only did he get called out in an order from the judge, but the judge ordered the attorney to give his client a copy of the motion THAT THE COURT EDITED! Do you think the client will want to pay that bill? I cannot imagine anything more embarrassing to an attorney or more devastating to a firm’s bottom line than these kinds of articles published about specific attorneys and firms.